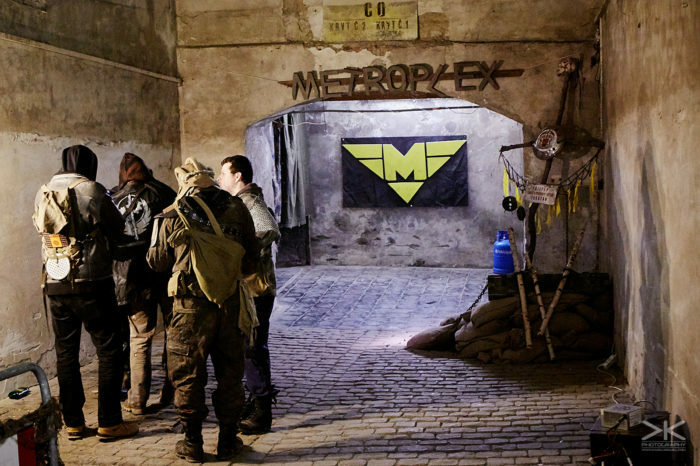 I was thrilled when I heard that Petrius was making another World after the fall (Svět po pádu) – that was a year ago. 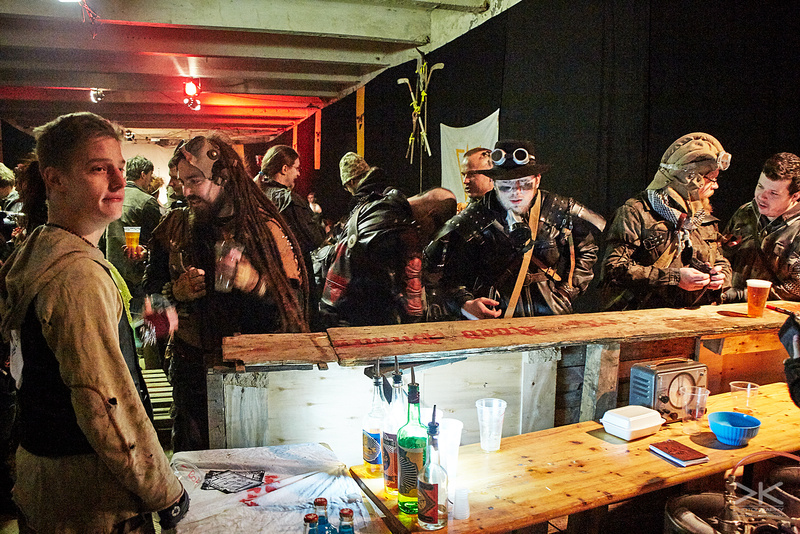 I had no idea what to expect from the festival format, but still, I couldn’t wait. 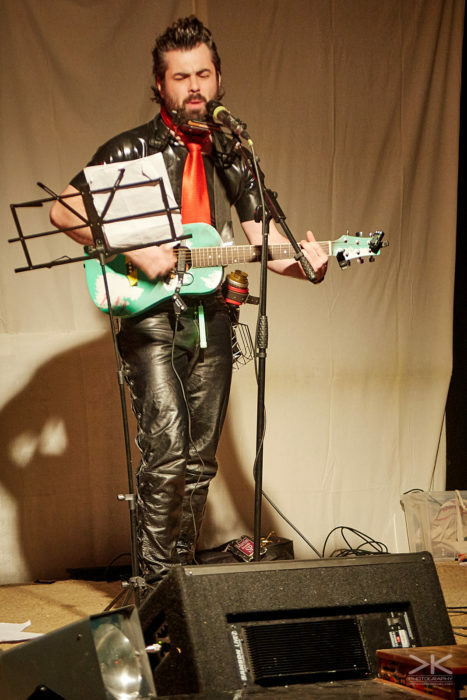 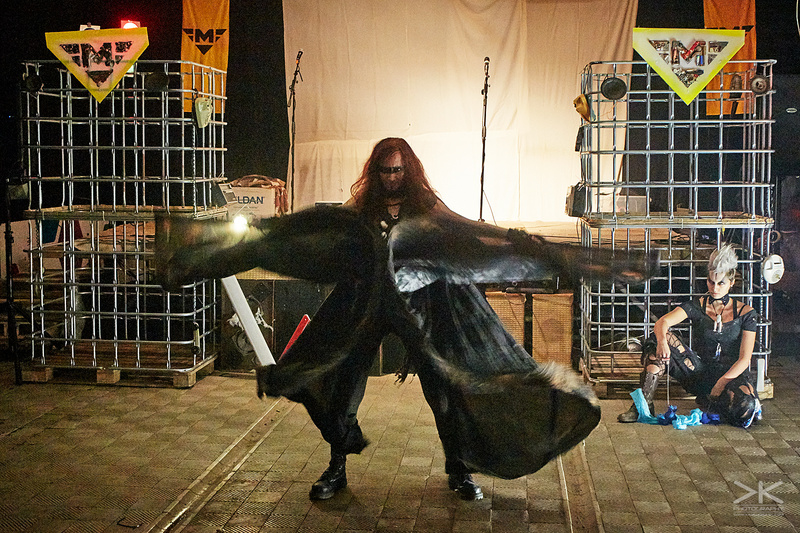 And when it happened, we all knew that a postapo festival was something we had been missing, so he did it again. 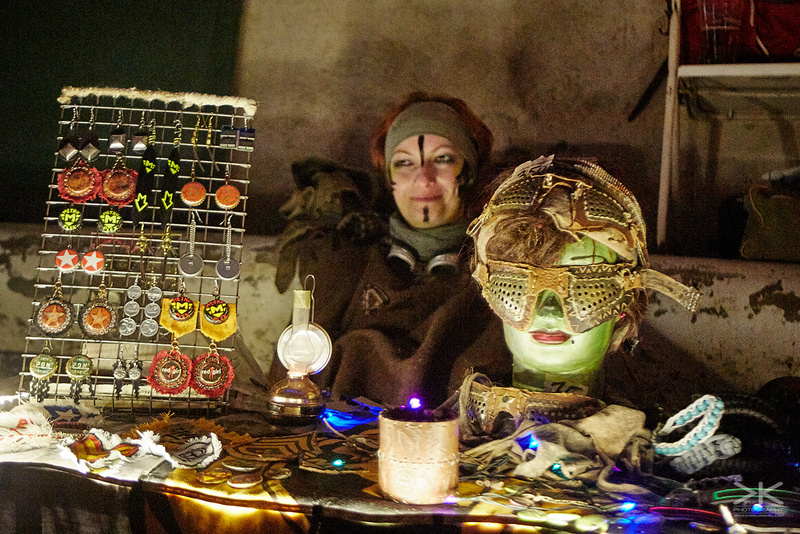 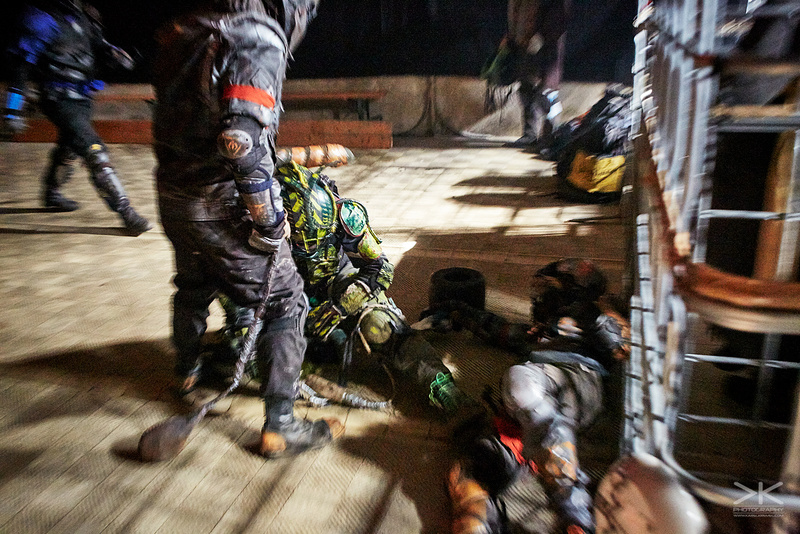 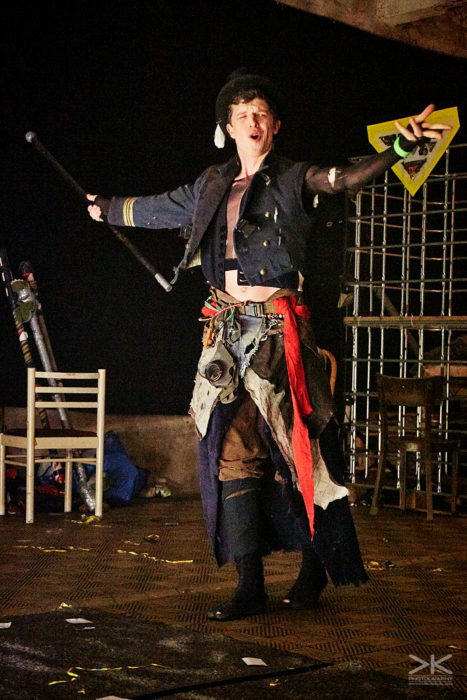 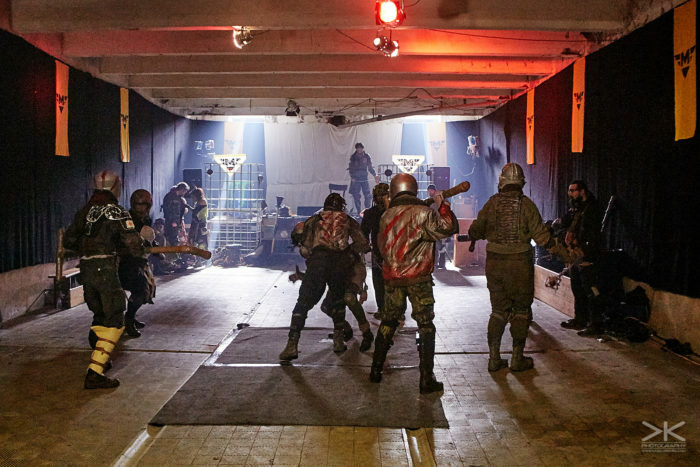 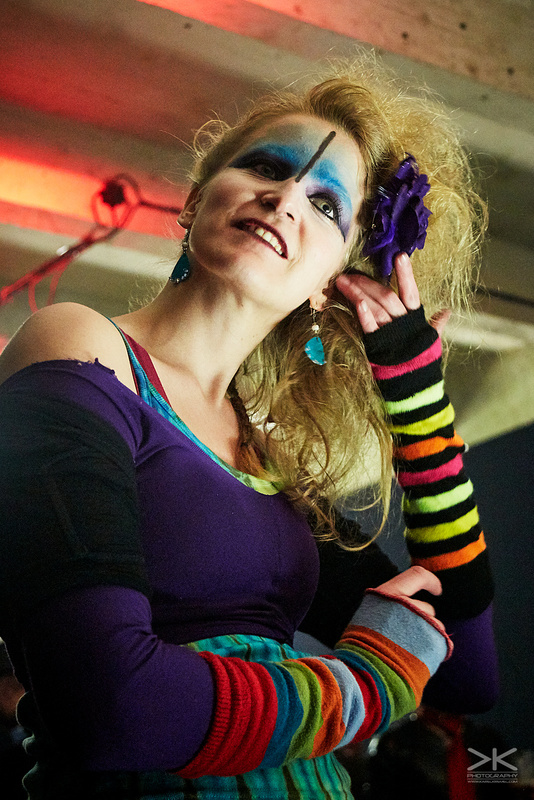 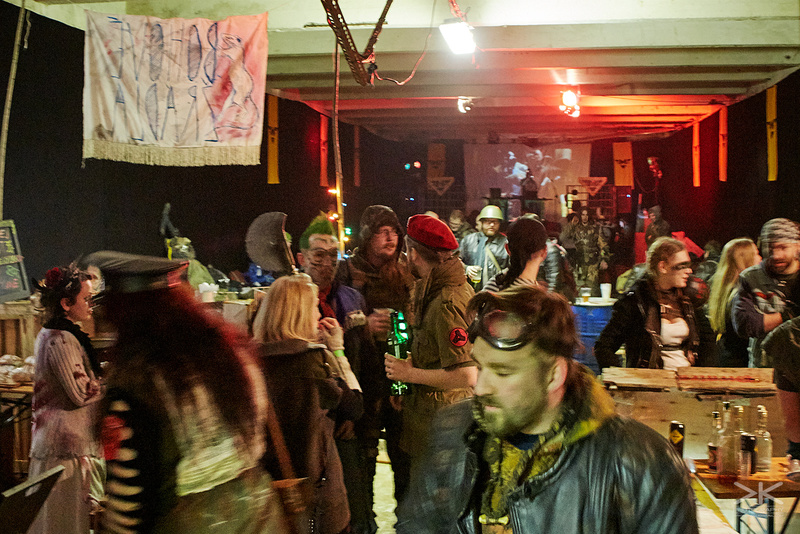 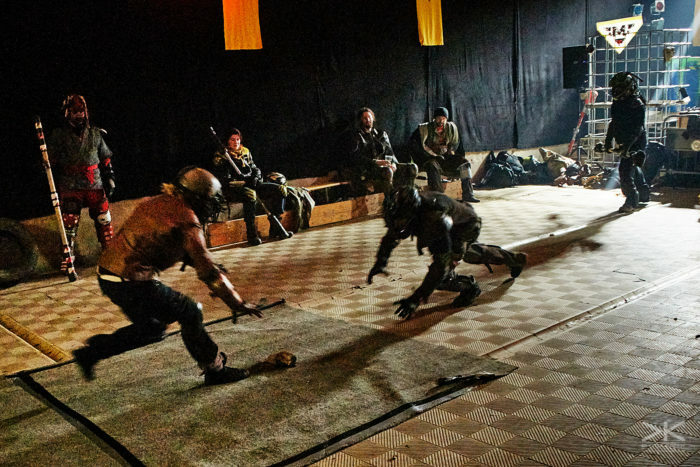 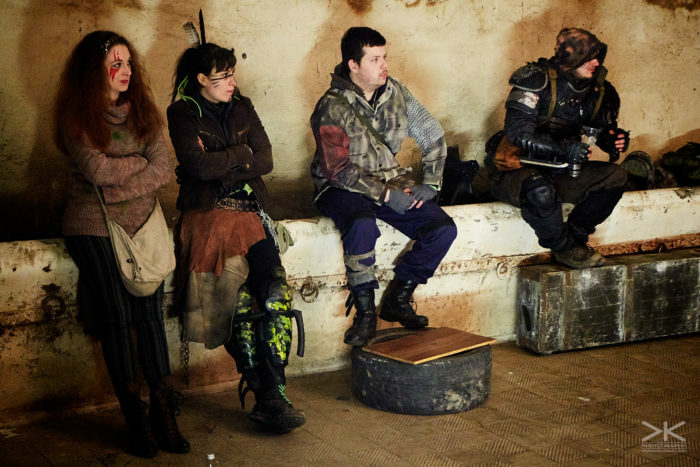 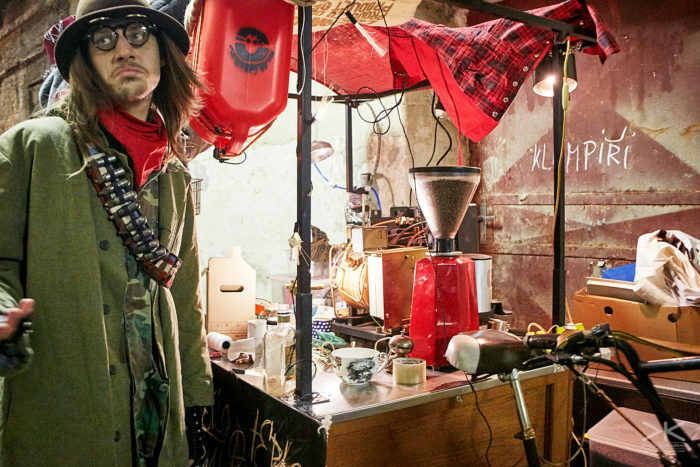 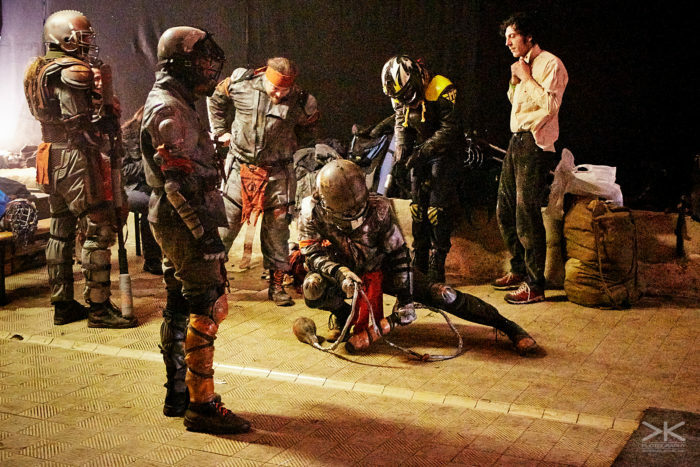 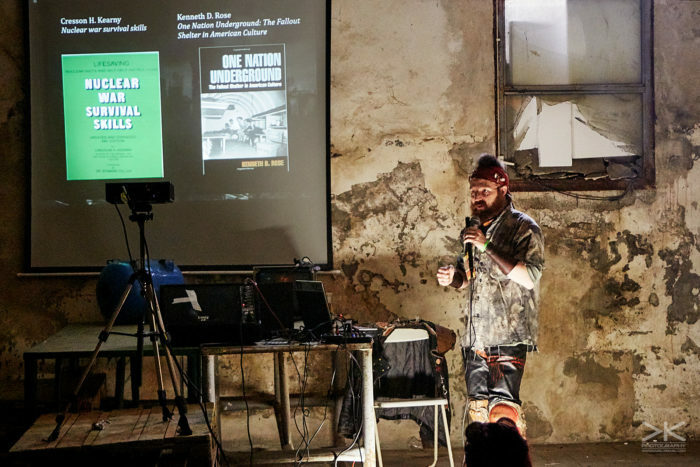 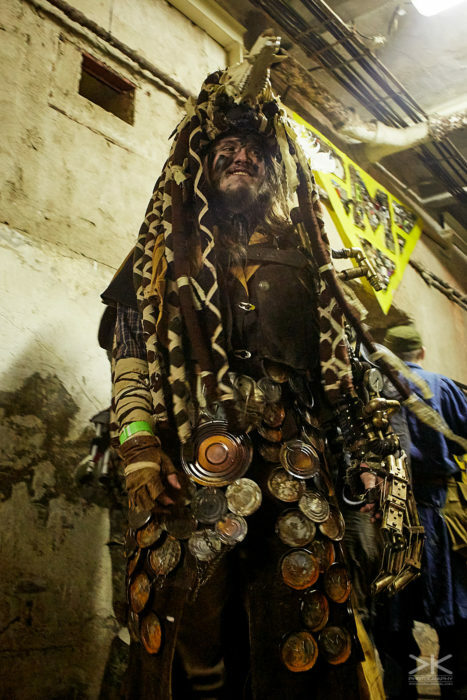 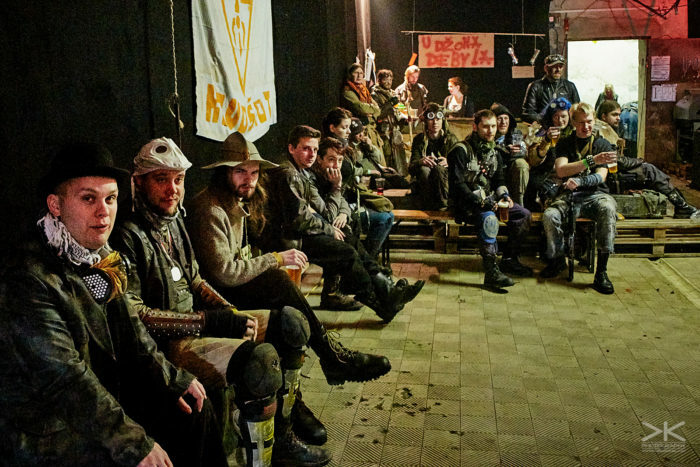 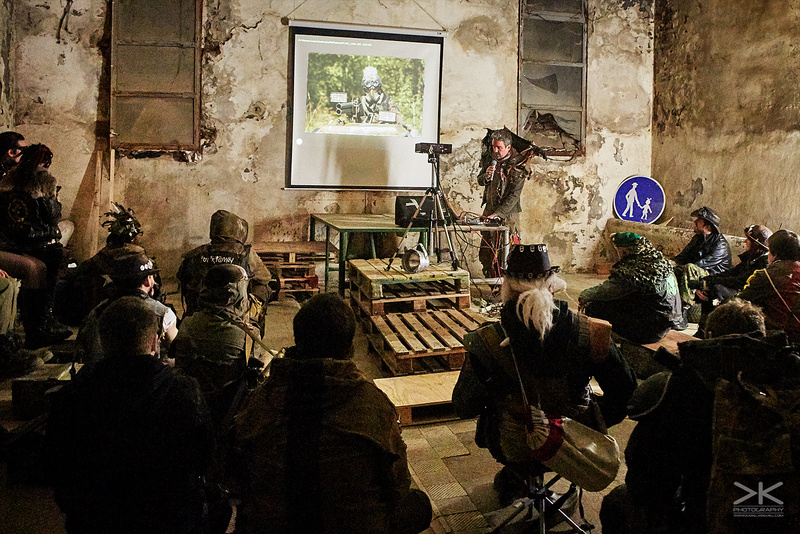 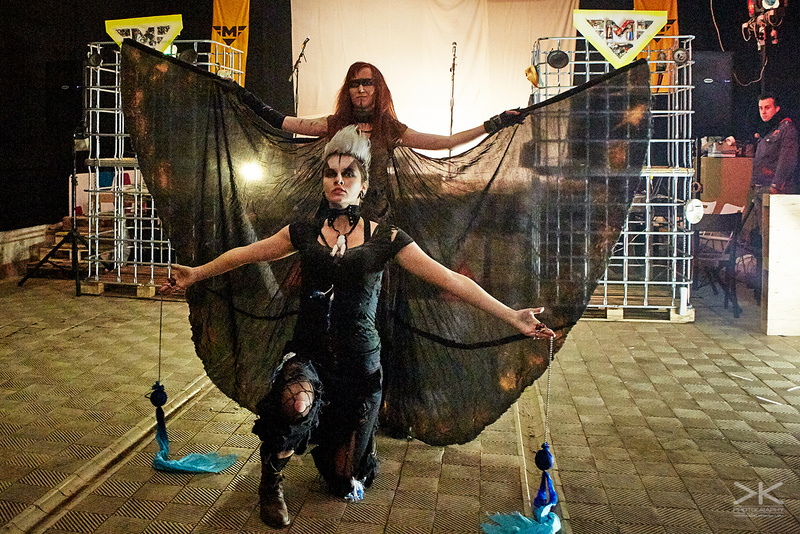 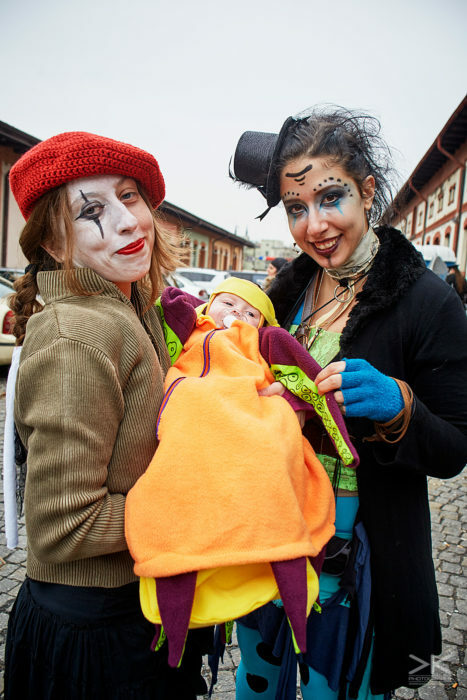 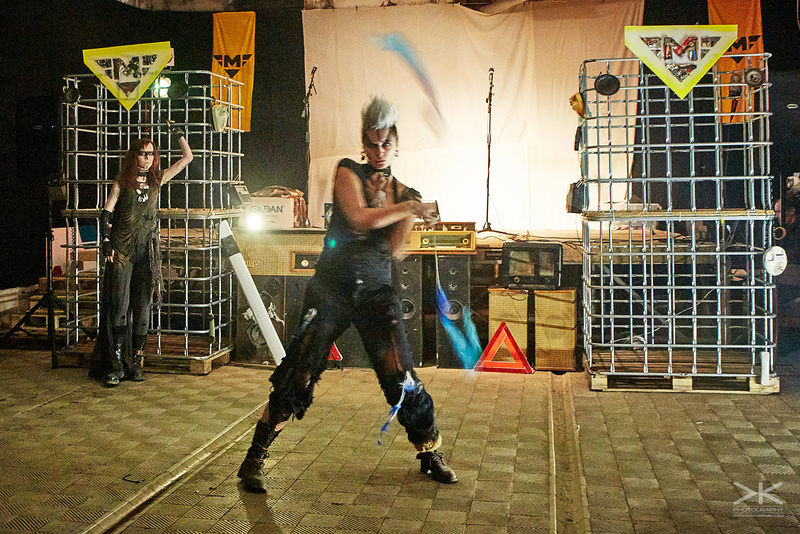 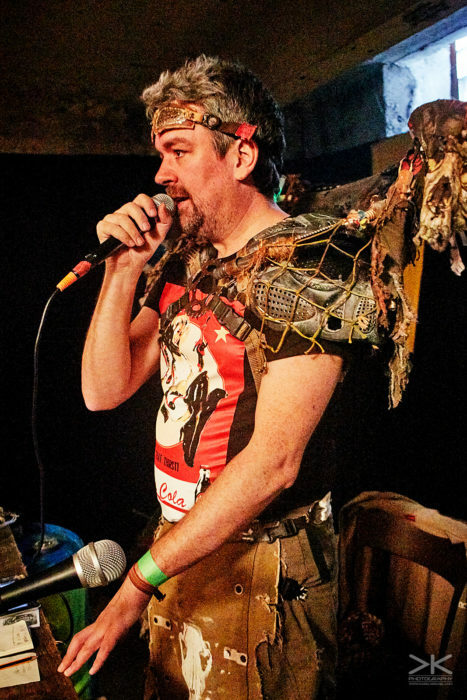 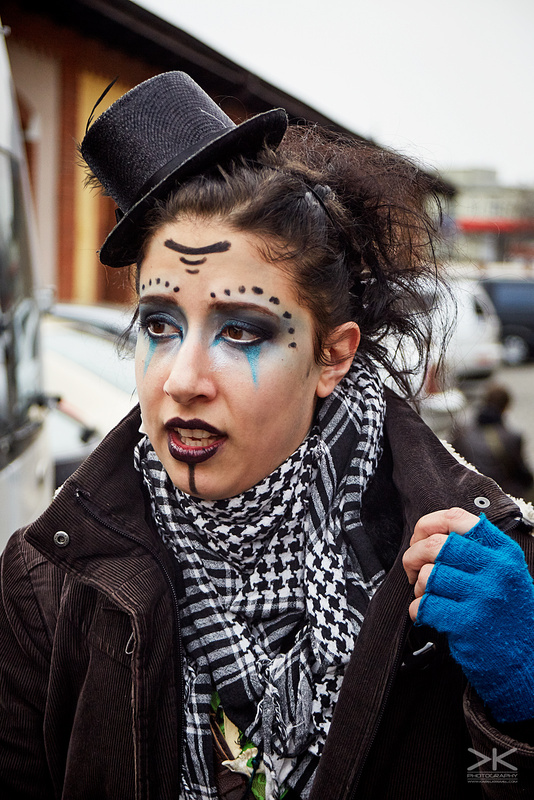 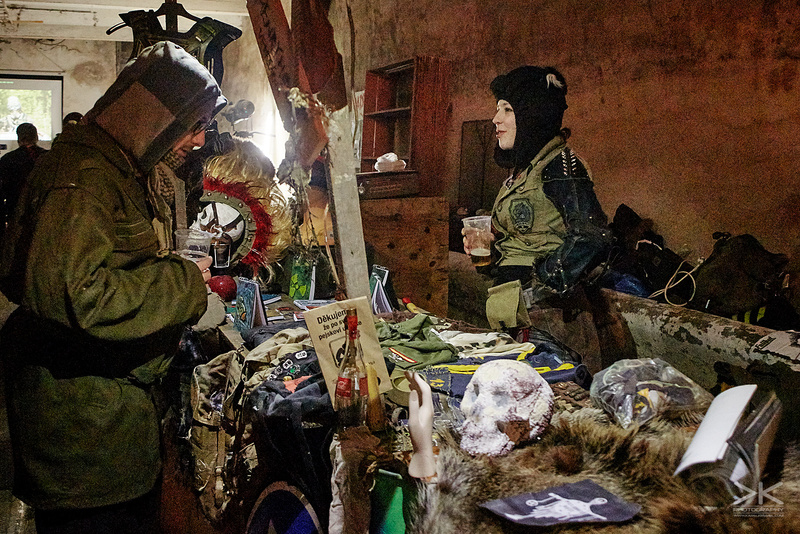 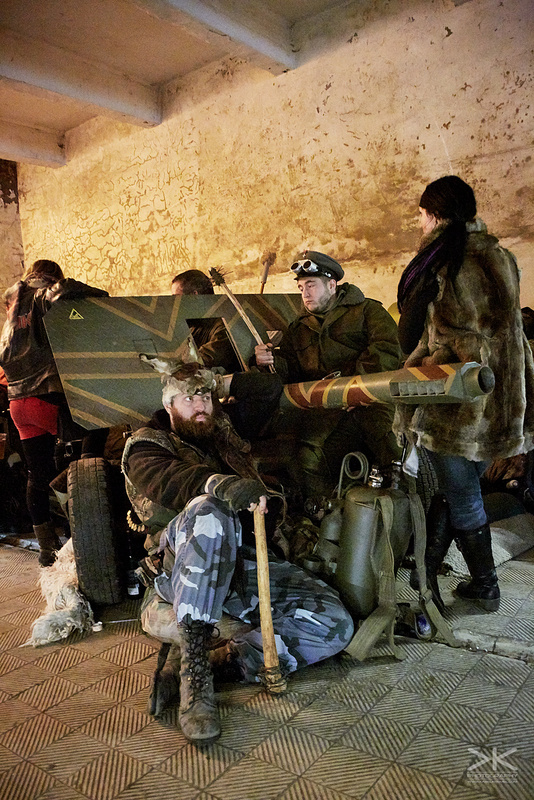 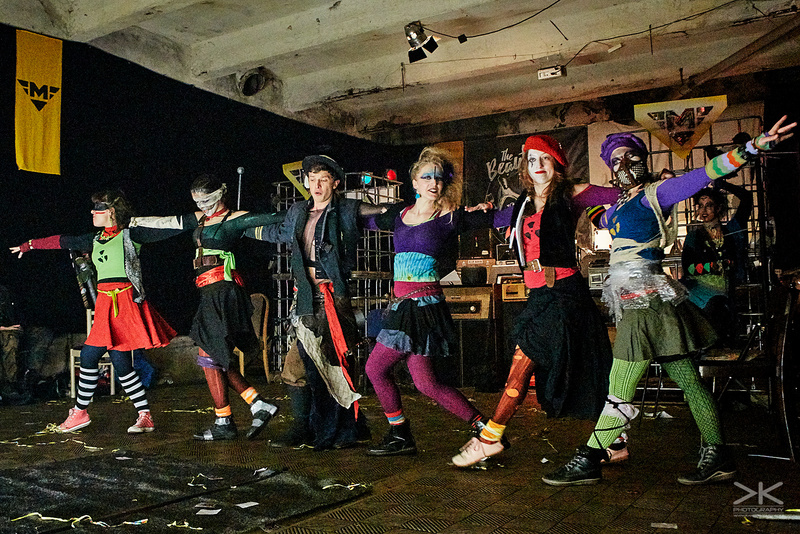 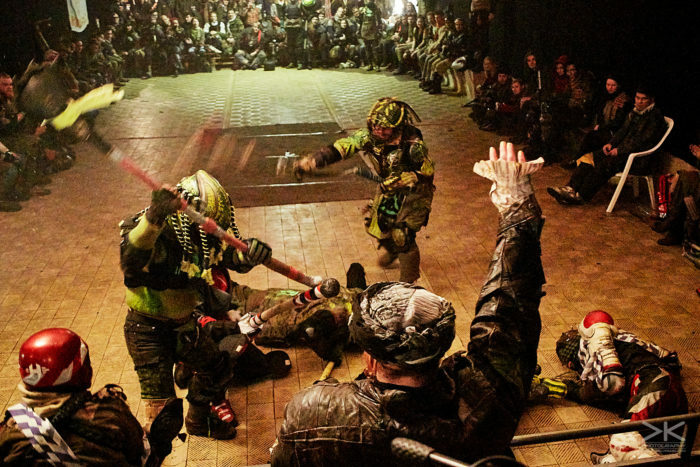 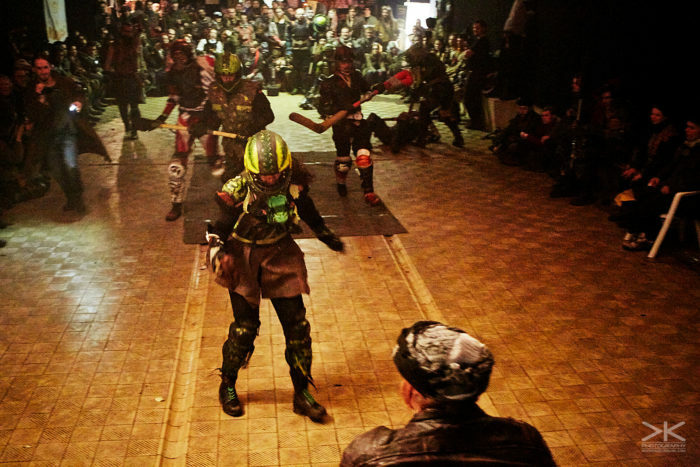 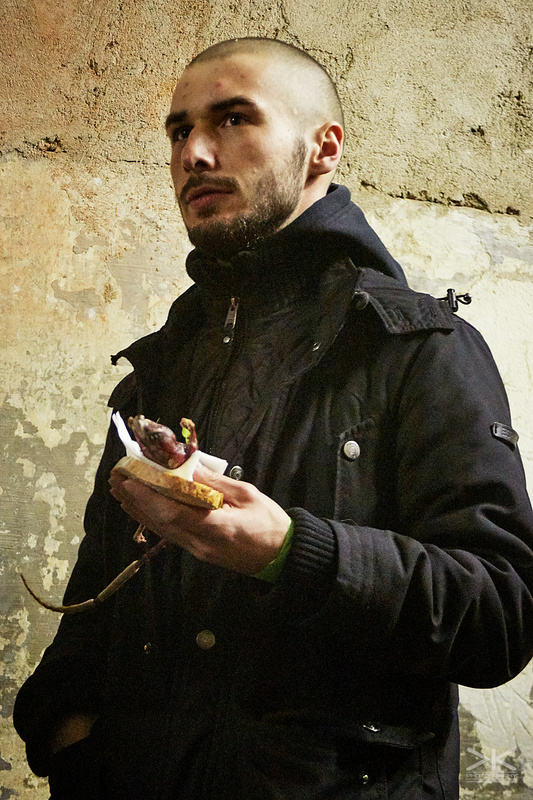 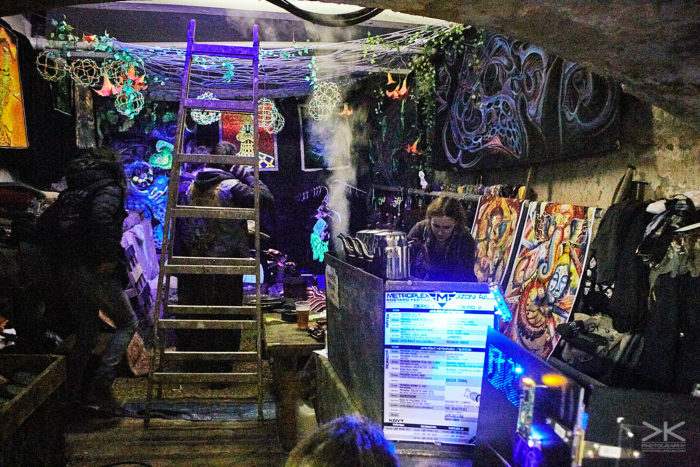 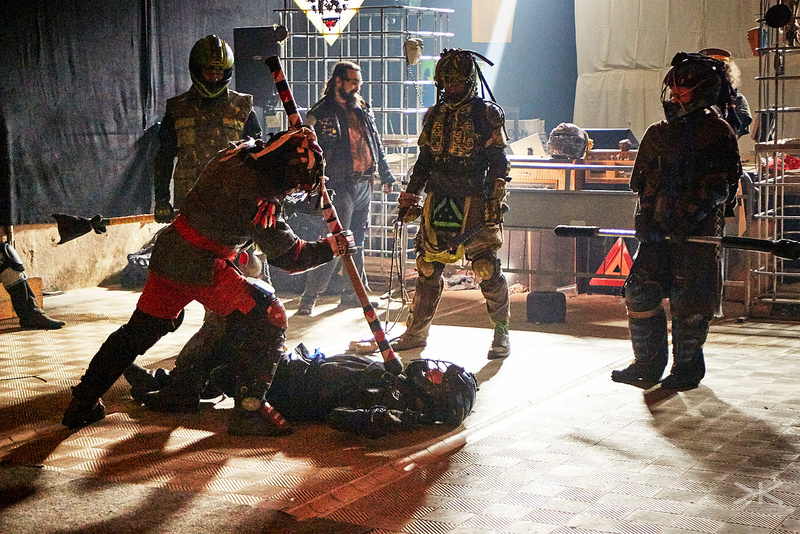 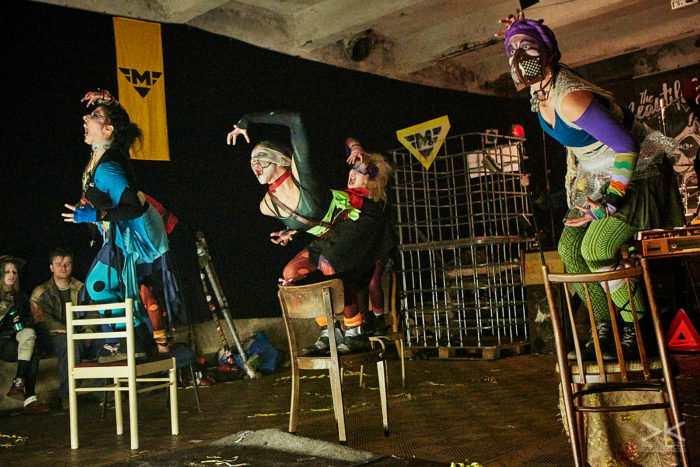 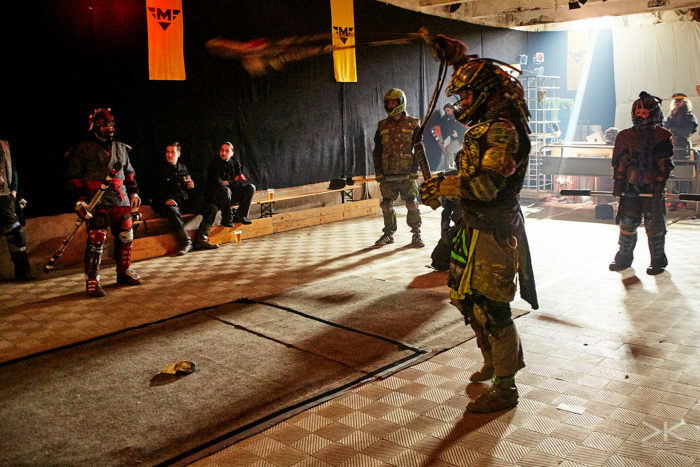 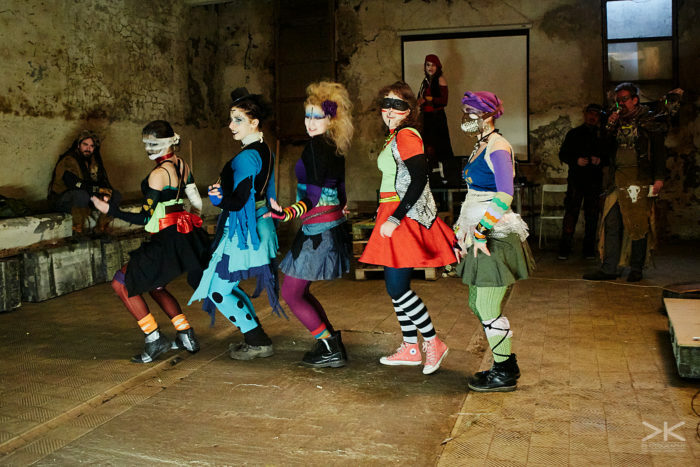 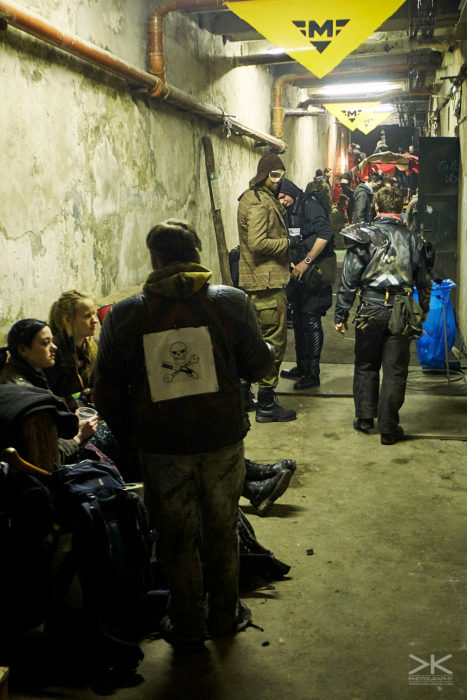 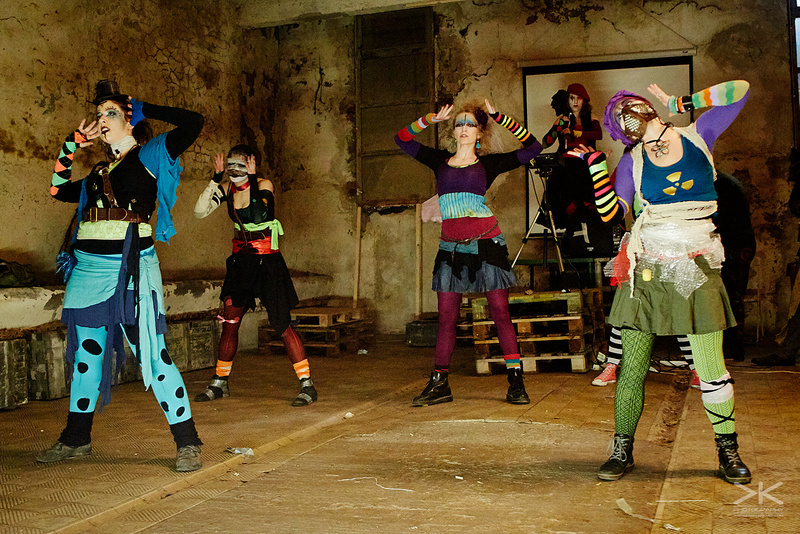 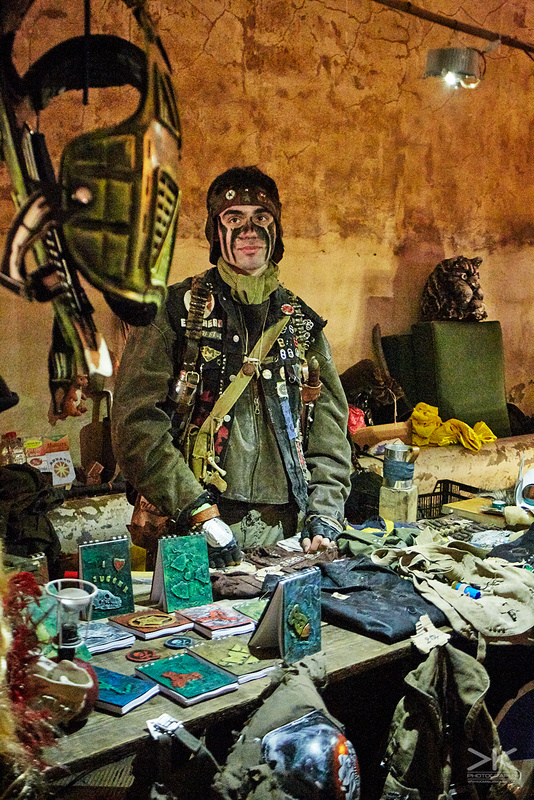 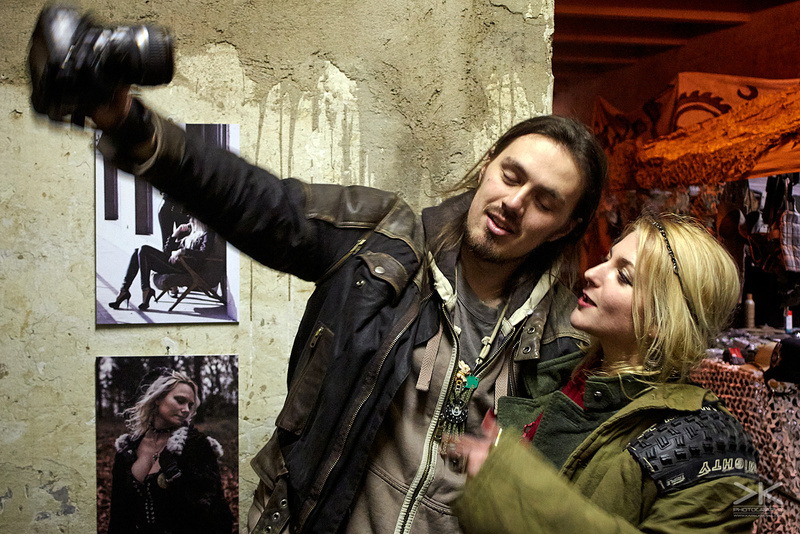 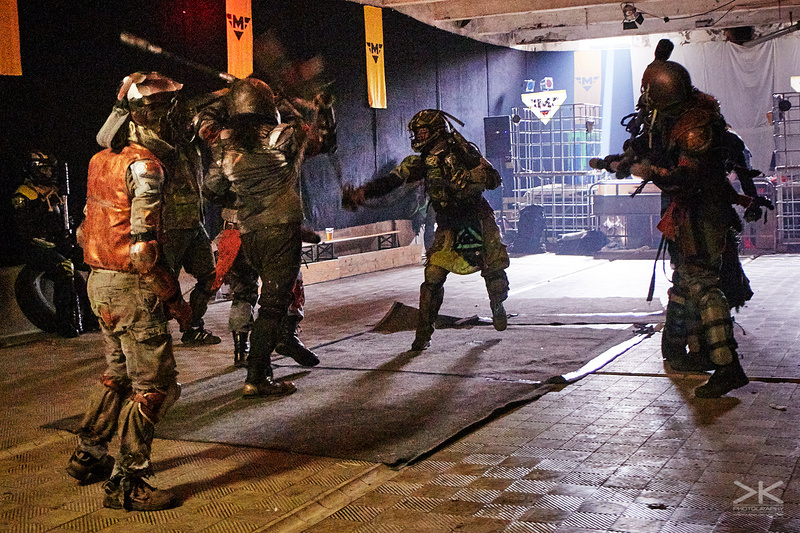 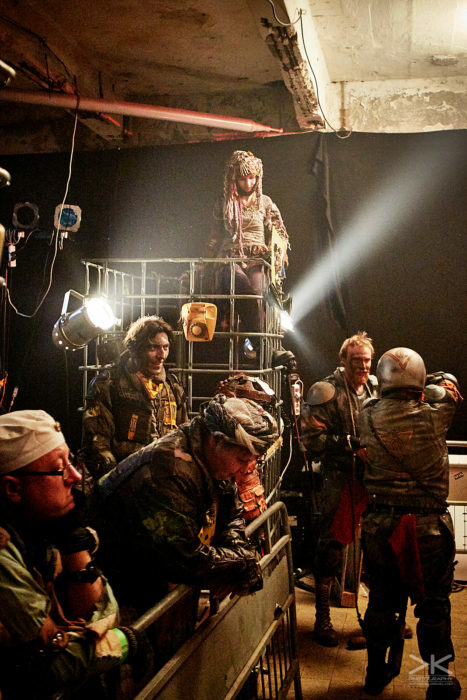 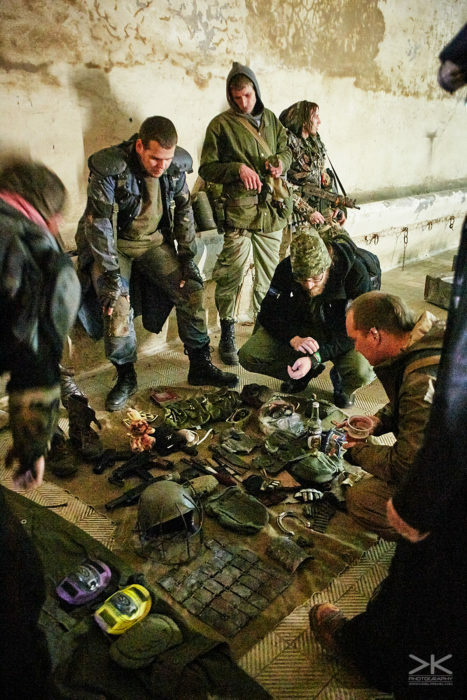 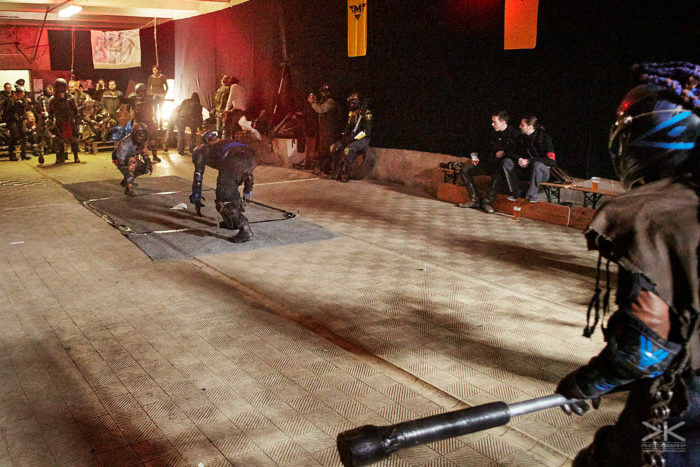 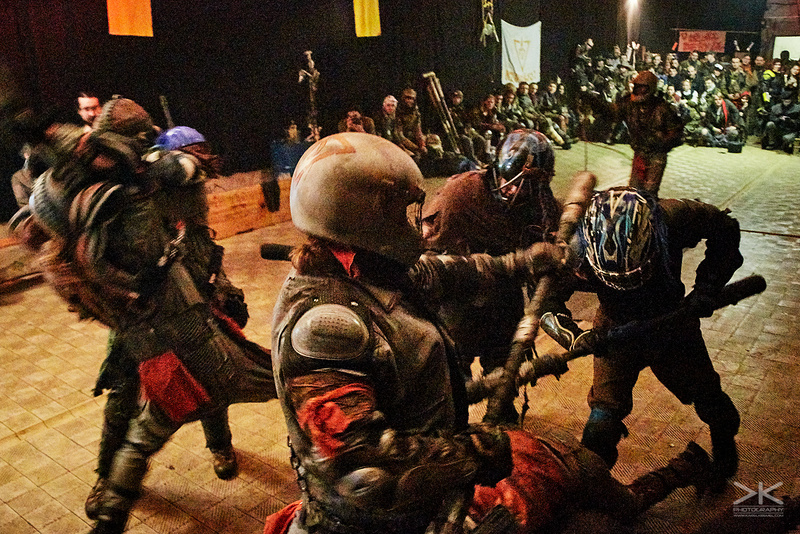 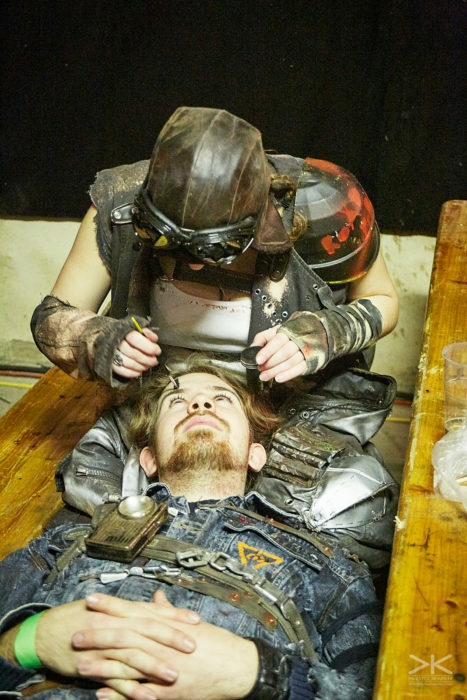 It took place in an old slaughterhouse in Holešovice, where a few hundred enthusiasts enjoyed a post-apocalyptic fashion show, dance show, a few concerts, tea or they could play some table-top games. 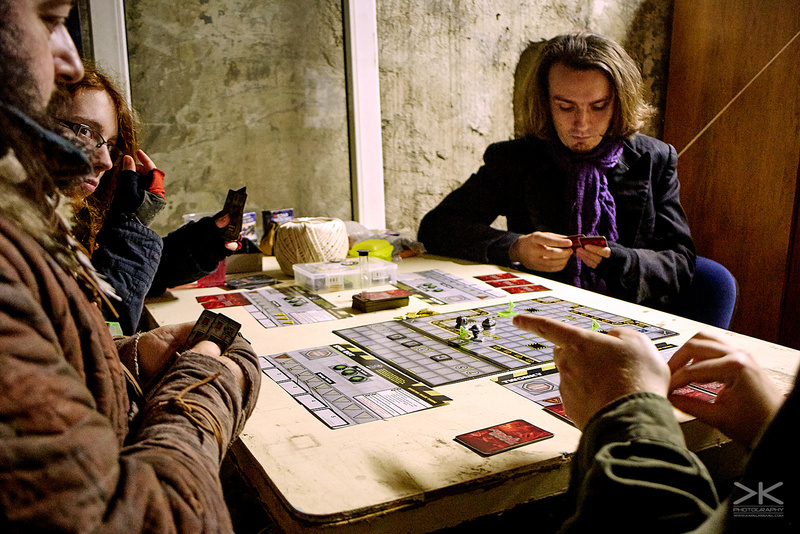 I should probably point out one of the games – Godforsaken SCAVENGERS – they should be on Kickstarter soon and I really did enjoy it, so maybe you should try it too and support this project. 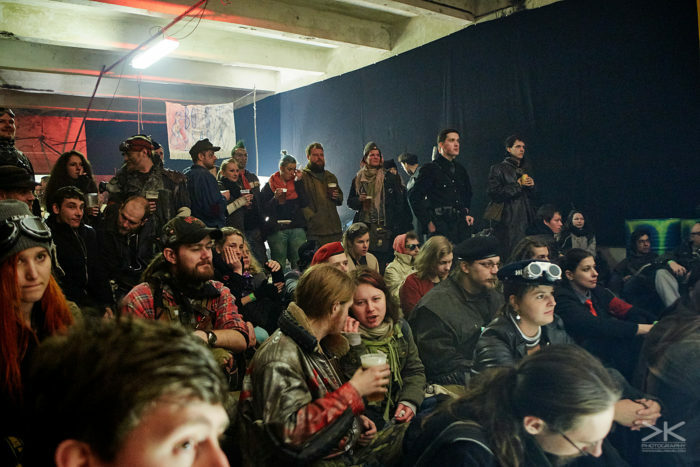 It’s true that a lot of the participants probably came just to buy tickets to Junktown. There are too many people who want to go there and there isn’t enough place for all of them. 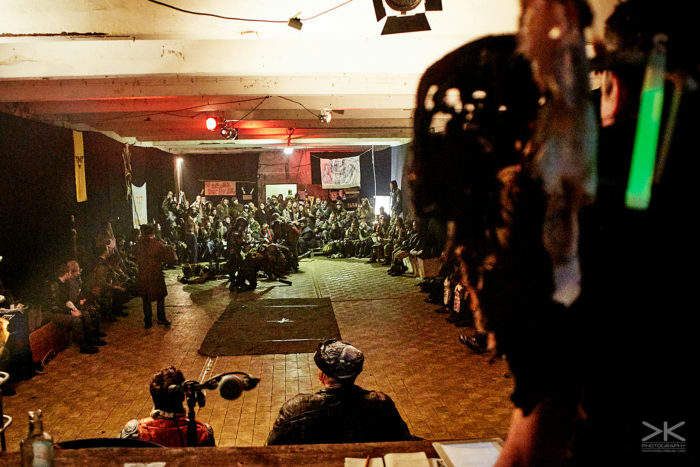 And this was the first opportunity to buy a ticket… and many people did. And now I probably should explain, why I’m publishing these pictures with such a delay. 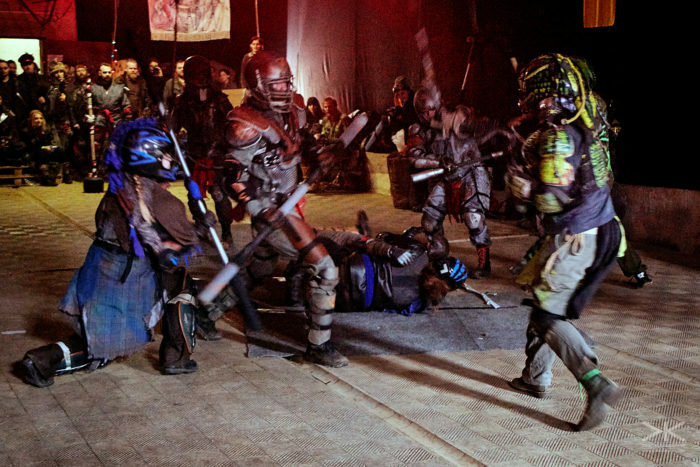 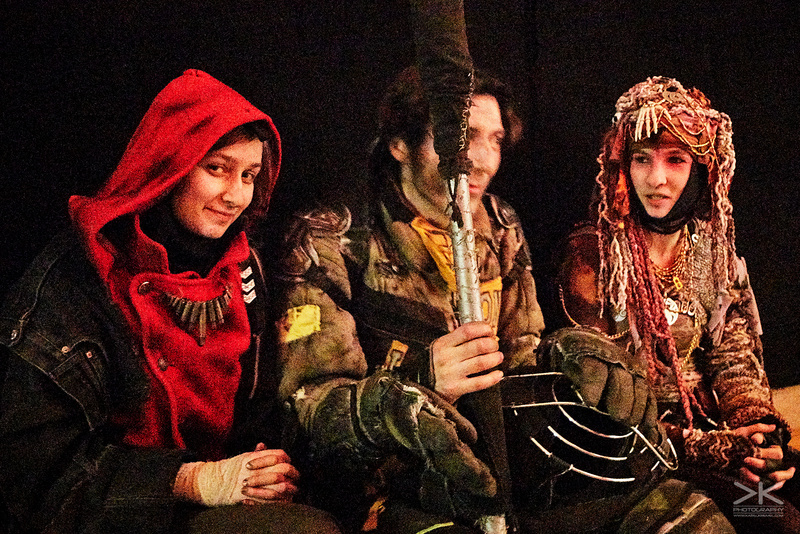 I went to Finland, to Solmukohta(a larp conference), right after Metroplex. 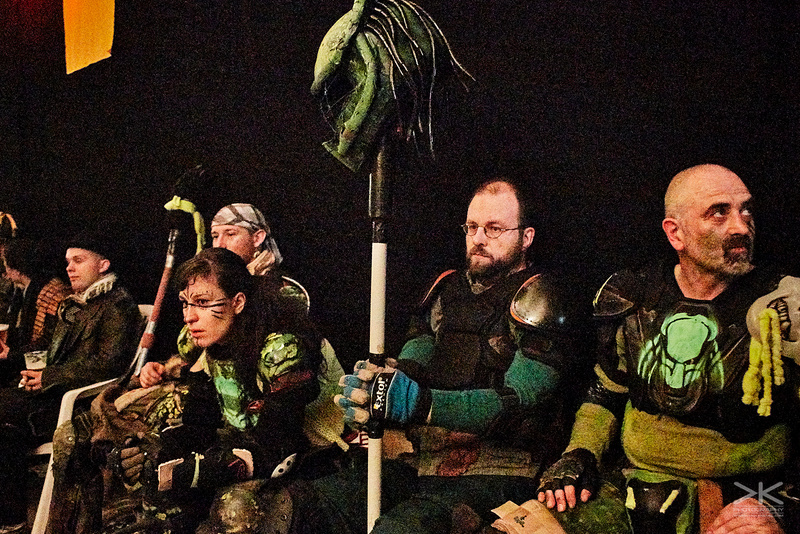 And after that I went to photograph the Last Voyage of the Demeter and there will be another article about it. 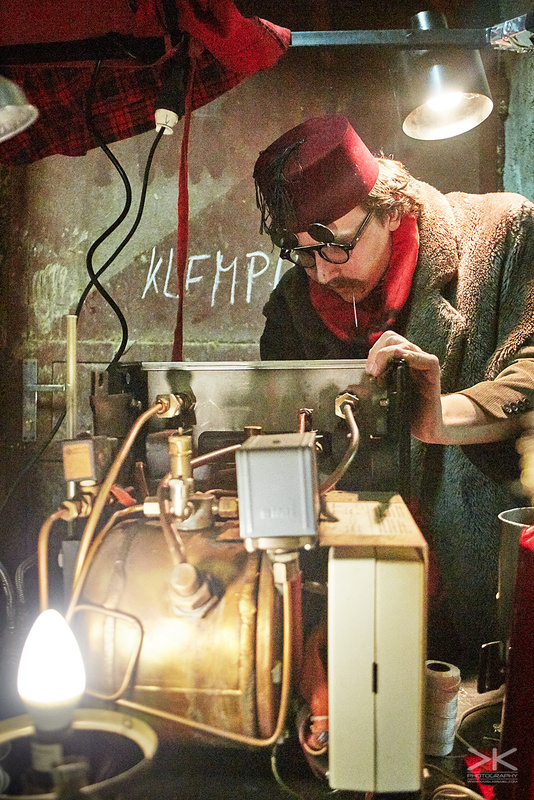 So I really didn’t have time to publish the pictures; actually I’ve processed them in a train on my way to the Demeter.